ICERM believes that this extraordinary program should be replicated on a national basis. Interactive and engaging educational modules are now available for review and can be downloaded by request (see Curriculum below). Thanks to funding from the JetBlue Foundation, ICERM is able to offer a train-the-trainer program for faculty interested in replicating a GirlsGetMath program at their home institutions. 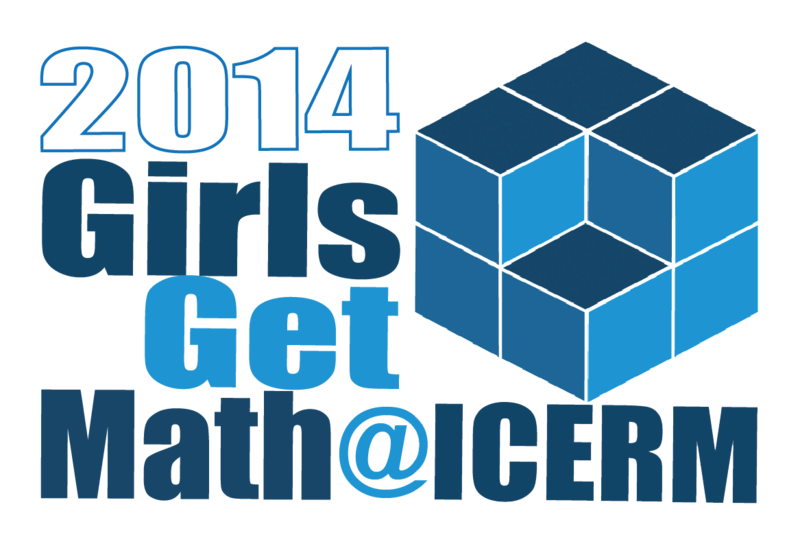 The training will occur during ICERM's GirlsGetMath program in the summer of 2019. The train-the-trainer participants will then have the opportunity to apply for start-up seed funds to run their own programs in summer 2020. Note that applications for the train-the-trainer program are now closed. 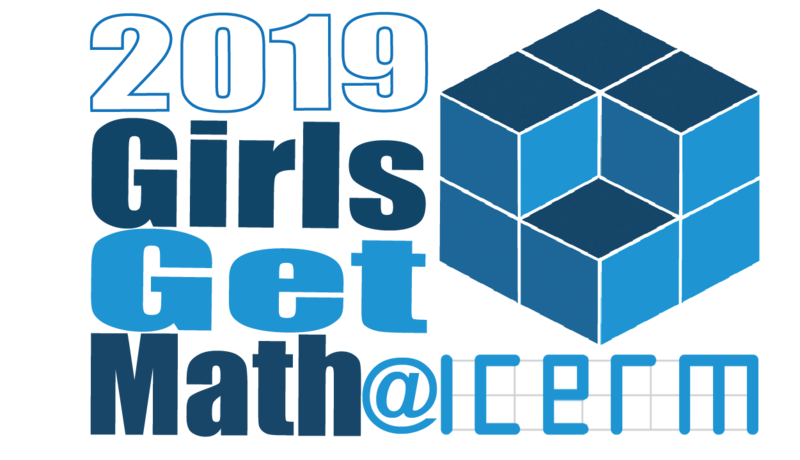 GirlsGetMath@ICERM 2019 is scheduled for Aug 12 - 16, 2019. Learn more on event page. Donations and gifts to the GirlsGetMath@ICERM program can come in many forms. A gift as small as $1,000 will cover the cost for one participant's experience; a $50,000 donation will seed the planned national franchise of this program. Gifts and donations can be named or anonymous. All gifts to GirlsGetMath@ICERM program are tax-deductible to the extent allowed by federal law under the umbrella of Brown University's status as a 501(c)(3) charitable institution. 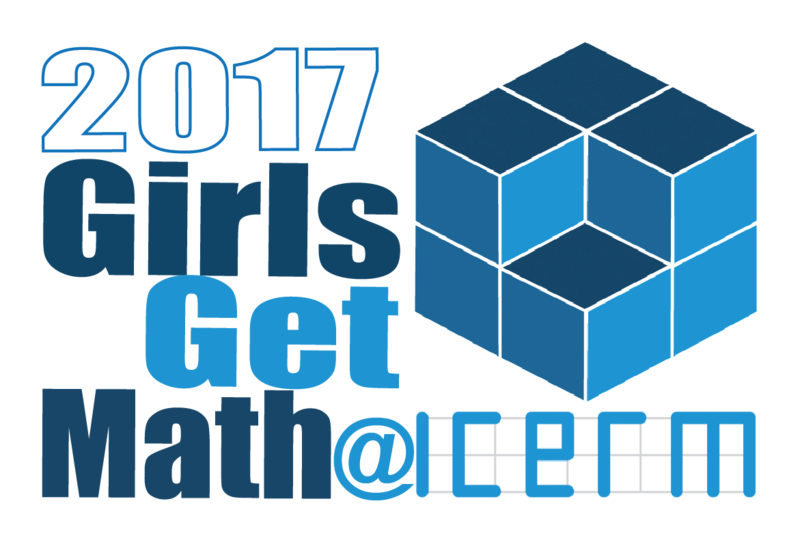 To learn more about giving to GirlsGetMath@ICERM, contact David Loerke: 401-863-6766, or donate online at https://gifts.brown.edu. 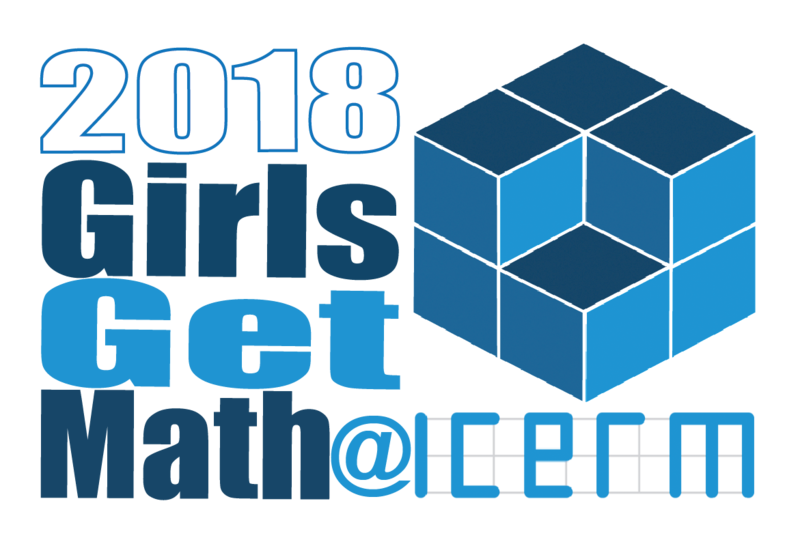 Brown University's student newspaper, the Brown Daily Herald featured an article about the 2018 GirlsGetMath@ICERM program. GirlsGetMath organizer Katharine Ott wrote a guest post on the American Mathematical Society blog about the 2017 GirlsGetMath program. Visit the AMS blog to learn more about the event. "All of the faculty leaders and TAs were so open and positive. They were really helpful when we had any questions and they explained the concepts really well. All of them seemed really excited to be there which made going to camp a lot more fun, especially in the mornings when I was a little tired. They also gave us a lot of good advice about college and not doubting yourself or thinking that you can't do something which was something that I think I needed to hear concerning math especially. They made me feel more excited about math than I had been before coming to the camp." "I really liked getting the opportunity to meet all these other girls who shared an interest in math with me. Also getting to meet the faculty and TA's gave me a chance to hear about real experience with college and math majors." "The highlight of the program was meeting so many other girls my age who loved math too and wanted to learn more. Also, the conversation we had on Friday during lunch about colleges definitely made me a lot less stressed about college and the future in general. Meeting all of the faculty and TAs and seeing them so enthusiastic at math made me more enthusiastic about math." "I particularly enjoyed the 3d printing aspect of the program. I liked to see how the calculations and coding we were doing had a physical final result. Though problem-solving is one of my favorite things to do, the added dimension of the 3d printer completing the commands we had programmed furthered the enjoyment of the experience." "I enjoyed learning about graph theory and mathematical biology. These topics were things that I had never even heard of and they were really interesting to me. I never really knew that math and biology could be so intertwined. I also loved the lab that went along with it. We were able to create a model of the spread of a disease. I had a fun time playing around with the different variables to see what would happen." "I most enjoyed Epidemic Spreads because it was something I hadn’t be necessarily connected to math before. GirlsGetMath really showed me the endless possibilities math has because you need it for basically everything." "The highlight was the experience to learn new mathematical concepts with other girls looking to enter STEM fields." "I particularly liked the classification and recommendation systems since they translate directly into things we see every day such as artificial intelligence and applications giving us songs and movies that we might like." "Having no boys at the camp made me feel more comfortable asking questions and being wrong. Also, seeing faculty who are women and have jobs in Math makes me feel like if she can do it then maybe I can do it too." "The highlight of this program was to connect with peers from across the state and meet the program leaders. It was fun to learn new math concepts that I wouldn't usually learn in school." "My daughter had a great experience. She was able to see how mathematics can be applied to so many real world situations. She also gained confidence through the program and hopes to get a job in the field of engineering." "My daughter was very happy with the program. She had a lot of fun doing all the math activities everyday and came out with a positive attitude about potential careers in math related fields. I couldn't be more happier with the program. Thanks for all you do!!" "My daughter was able to spend a week learning about math topics she hadn't been exposed to before and allowed her to explore other interests within math. She was able to learn new things about math without worrying about tests and other subjects. It was also great for her to meet other people with similar interests." "My daughter loved every aspect of the program. She came home every day and told us everything she did and learned. She was excited to go everyday and learn something new. She wished it was two weeks long so she could delve deeper into the math topics. She has shared her experience with our whole family and her friends. Thank you so much for offering this program." "The experience was very powerful in several ways for my daughter. She was inspired and encouraged by interacting and working with such positive role models. She would come home excited and tell us about all the things that she did at the camp and how wonderful the teachers and teaching assistants were. Additionally, the message that math and a math related career is a viable and available pathway for young women was gratifying for her to hear. I am truly grateful for such an opportunity and I hope such programs could become more available both nationally and internationally for girls." "My daughter benefited in the following ways: (1) Meeting other students her age interested and engaged in Math topics made her more confident in her own interest and ability. (2) Meeting other young women interested in Math who she enjoyed being with - she made friends." Many modules have been developed and vetted over time at ICERM for the GirlsGetMath program.